After 4 years of being a Mac user, there is only one thing that I still miss from the Windows world, and that is being able to switch with a single keystroke between all open windows in the computer. What is the best app or utility, free or not, for accomplishing that? I've used Witch, but I never was completely satisfied with it. It's a bit slow and the switcher UI is not very pretty. Do you know any alternative? EDIT (2016): This question keeps getting views and upvotes after 6 years. When I asked this question in 2010 I was still transitioning from being a Windows user. Eventually, I got used to Mac OS X UI and nowadays I don't use any third party utility for managing app windows, just Mission Control and the native keyboard shortcuts. So, although this question is no longer relevant for me I hope it is useful to new Mac users making the switch (Including this comment). I'm guessing you're already aware, but for those searching the web there's always Ctrl+F4. No visual feedback, but it does switch between all windows for all apps (that are not hidden) with one command. Of course it's instant and so it doesn't reorder the list like ⌘+Tab does. I also got tired of Witch, but I decided that most of the time ⌘+` is all I need. Contexts for mac is a competitor to Witch. As a long-time non-mac user looking for more intuitive window switching , I really like this app. It allows for switching between all the windows you have open, using your keyboard or your mouse. There's also an optional side panel, which is somewhat a replacement for the Mac Dock. It can be configured to hide applications that don't have a window, and displays multiple icons for multiple windows. As such, irrelevant background applications are hidden and multi-window apps can be managed more easily. If need be you can still use Apple's Native App-switcher (cmd+tab) to close/switch-to background/windowless applications without using the native dock. An app I developed, Optimal Layout (14$), gives you keyboard commands to quickly switch and re-organize windows. Command + Tab, combined with Command + `. Works great. Command + Tab : Switch between different applications. If this and other keyboard shortcuts seems to be broken, you probably have another keyboard-layout then US, The shortcuts actually aren't to the ` key but rather the key that would have ` on a US keyboard, to find what key this is on your layout, open the "keyboard viewer" and switch your layout to US, take notice on where the ` key is located, swich back to your normal layout and you can now use this button to switch windows. On a swedish keyboard ` is the button next to 1 (§) on the small/laptop keyboard, and the key next to z (<) on the full size keyboard. It's interesting - no one has mentioned Karabiner. it has ton of options for different things, the one I like called "Tab mode", where you can switch between apps by holding Tab key and using either arrows or HJKL keys (especially favored by Vim users). Tab+I to cycle through open windows of the current app. I love Karabiner, it's the app that made me really, really hate Windows (occasionally I have to do things in Windows). However even with awesome AutoHotkey app I couldn't find a way to use keyboard there as Karabiner lets me on a Mac. I encourage you to try Karabiner and explore vast amount of different options, trust me - it will change the way you use your keyboard. Quicksilver (or spotlight). You summon the App you are interested on, say Safari. Once all the application windows are being shown, you can type (there's no text field, you will just have to start typing) the title of the window you care. After a couple of keystrokes, your window will be selected. At the beginning you'll be slow but as time goes by, you'll become pretty fast. As mentioned in the question, Witch ($14) is one of the first window switchers and, IMHO, still one of the best. I suspect @Sergio (questioner) main concerns have now been addressed in Witch. I think its actually one of the better looking ones, with lots of options for tweaking appearance (including themes). It also feels very fast to me. All that said, I am not currently using Witch because it doesn't support searching the window names. For that I was using Optimal Layout and am now trying out Contexts (which seems very promising). 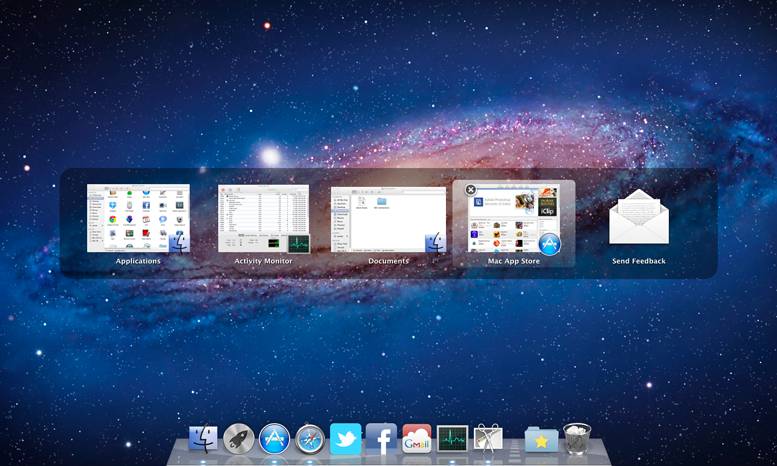 Been searching for a mac window swapper that INCLUDES MINIMIZED WINDOWS for ages. Little did I know, the function was already built into Quicksilver, sitting under my nose this whole time. It's an action called "show all windows," which I've set as a trigger ( ⌘` for proximity to ⌘⇥). Quicksilver comes to the rescue once more (as usual). Not the answer you're looking for? Browse other questions tagged software-recommendation applications window-manager . How can I use command+tab to switch between windows of the same app in addition to all the other apps? How to change Cmd+Tab on OS X to make it behave like on Windows or Linux? How do I resize all my windows when I switch displays? Is there a window tiling app that snaps to other windows' edges rather than predefined screen areas?